I hope you find that as unbelievable as I do. I’ve tried to keep fisheries politics out of this blog lately because I want to concentrate on the fun parts of our sport, but when something this egregious comes out, I think it’s important to spread the news and let our fisheries managers know just how pissed off recreational anglers can be. At a meeting in Georgia last month, commissioners on the ASMFC’s Striped Bass Management Board formally acknowleged problems with the stock and started the process to reduce fishing. Unfortunately for the fish, changes from the ASMFC take a long time. Amendments were drafted and a public comment period was scheduled with the goal of implementing harvest reductions in 2015. Recreational anglers up and down the coast who are seeing fewer and fewer fish are disappointed that action wasn’t taken right away, but most of us are resolved to participate in the change process in hopes of an even more conservative approach next year. In the mean time, concerned anglers and conservation-oriented fishing organizations are calling for voluntary harvest restrictions. Simply put, we want to save as many fish as we can until the federal government formalizes mandatory reductions. Here’s an editorial in Forbes Magazine from Monte Burke calling for voluntary cuts: Time For Recreational Anglers to Voluntarily Limit Their Catch. Enter Maryland DNR. Now, you’d think that an organization charged to protect striped bass in the state where almost all of them are born and grow up would also consider reductions, wouldn’t you? Maybe even take action ahead of ASMFC restrictions? You know, a watch-out-for-the-stock-that-just-happens-to-be-the-state-fish, kind of decision? Nope. Instead, they delivered a square slap in the face to conservation minded fishermen in Maryland and all over the East Coast by increasing harvest by over a million, that’s right a million pounds, bay-wide. Here’s their thinking as I understand it: We’ve had one good spawning year for stripers out of the last six. That was 2011. Those fish are just now growing to be 18-inches long, the lower limit for harvest in Maryland. Since there will be more legal fish in the Bay, they think it’s okay to kill more, especially since we usually come in below the quota the ASMFC currently sets for the state. Never-mind that once new ASMFC standards are adopted, surveys will show that striped bass have been overfished six out of the past nine years, or that overfishing is likely to occur in 2014. The attitude in Maryland seems to be that we should kill as many fish as we can before they grow up and leave the Chesapeake Bay, and before the ASMFC forces reductions. Did I say I was pissed? I hope you are too. 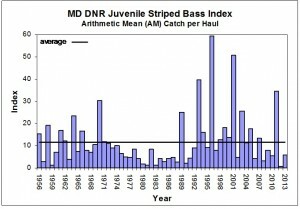 I believe the 2011 year class is the future of the striped bass fishery. It’s the fish you and I will be trying to catch for the rest of our lives. This 14% increase isn’t likely to change because it’s already been announced and commercial quotas are set for Maryland, Virginia, and the Potomac River. One thing should change though, and that’s the attitude of Maryland fishing managers. The days of managing for maximum harvest have to end. We can’t just keep killing fish simply because they’re here in the Bay and their heads are finally big enough to get stuck in a gill net. 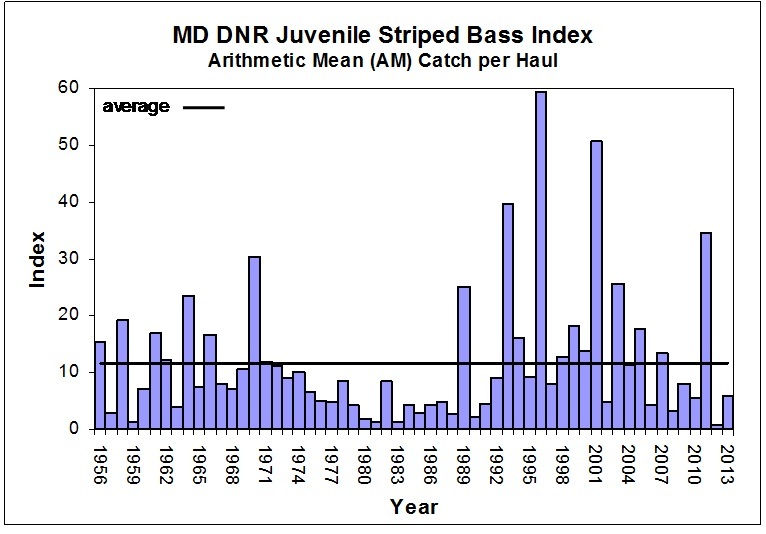 Please talk to everyone you can – your friends, your neighbors, your co-workers, your pastor, and especially your politicians to make sure they know about the great striped bass grab of 2014. Share on social media and do everything you can to spread the disheartening news. You can bet that DNR managers will be working all this very long holiday weekend to clean up their justifications and polish their excuses. Speaking of polishing, maybe this isn’t a turkey after all but something that smells a lot worse. You can’t polish a turd, and this decision stinks. This is unbelievable. I am forwarding to everyone I know. Yes we should all be pissed. It seems that the commercial lobby is very strong to get these things pushed through. How can we as rec anglers empower our own lobby. Lets be honest, this comes down to money. Recs spend a ton of it in this state to pursue a sport we love, but that spending has and will diminish if these stocks are depleted. I for one would be willing to donate to a lobbyist. I am currently a CCA member but it seems that the comms have more influence. Why is this? We can do a better job of displaying our displeasure than complaining on blogs and internet forums. How can we become more politically influential? I ask these as serious questions. I’m in DE but share the pain – we have an over abundance of gill betters and DNRC is no where around when to regulate how many fish are taken or if the permit restrictions are being followed. I am a member of RFA – recreational fishing alliance and have been encouraged by the progress they have made to empower recreational fisherman. Recently they were an active part in stopping a corrupt judges decision in FL to repeal the will of the people and allow gill betters again after seeing re fisheries recover to levels they have never seen before. I encourage you and all fisherman to get out there and join the fight as soon as pu possibly can or we won’t have a sport. We need an organization as powerful as the NRA for rec fisherman NOW! Joe, I am not a fan of the RFA because of their history of putting the interests of fishermen ahead of the protection of the species. As recreational fishermen, we absolutely have to put the fish first, even if it means a reduction in our own harvest. I do not believe that the rights of any fishermen trump the need to conserve the fish. If we put the fish first, we’ll always have them for our children and grandchildren. I’d encourage the RFA to get off the fishing rights bandwagon, stay out of partisan politics, and stand strongly for conserving the fish, because then we can all stand together to make real progress. Mike, if you think all we are doing is complaining you are thinking wrong. I am sending my comments directly to the governor although I don’t know if he cares. It sounds like there isn’t much accountability at DNR lately. Thank you for bringing these important issues to our attention. We all feel powerlewss against DNR. They do what they want. These people are idiots. As long as sports ffishermen are competing with commercial fishermen for harvest allotments, we can only expect more of the same.We need to stop killing wild striped bass. 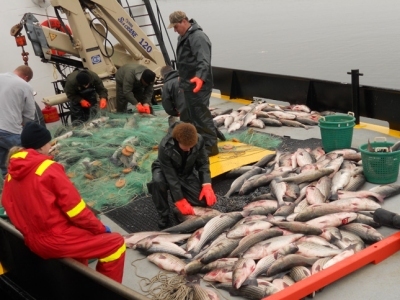 As long as we continue to kill these fish we destroy our own credibility. One more thing Shawn. Is Virginia and the Potomac River commission going along with the increase? Yes, they are Jesse. If I lived in Virginia, I’d be raising hell there too. why don’t they grind them up and make cat food and fishoil? 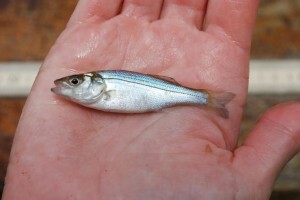 If they catch all the menhaden, then they might as well take all the stripers too. Who are these bozos? Thank you Mr. Kimbro for speaking truth to power. I expect they will come after you now. I hope you are prepared. They already have, and not just me but others who take a stand for the fish. Fisheries politics is a dirty business in Maryland. I can’t tell you how much this pisses me off. We have no where to go anymore. Nobody in Maryland cares about recreationals fishing. How can we get these people out of power? I think CCA M/D could wield a lot more influence if it doubled, tripled or quadrupled its membership–ten fold would be better. Not only would they have more money, but there would be more people taking issues to people of influence in the state. How can we make that happen? I am not sure of the exact current membership, but it has been very modest for a long time. All those who are concerned about the resource should join CCA-MD. Perhaps this is preaching to the choir. Perhaps all guys/gals reading this blog are already members–I doubt it though. I appreciate your comments and agree, Bill. I rack my brain daily about how to get more people involved. I have some ideas, but they all take money to get started. Since I am very active in CCA, I am always very careful to make sure that my personal comments and feelings aren’t taken as the position of the organization. The comments in this entry are all mine. That said, if you think I’m pissed off, you should hear some of the language coming out of CCA’s Government Relations Committee and from our Advisory Board and affiliated members right now. CCA is angry, fishermen are angry. Rightfully so. How many gillnetters do you think are in the state of Delaware? We need a plan of action. I think we need an organized group of pissed-off people that are willing to join forces and take action against the powers that allow over fishing. We need leaders who can organized a group of irate anglers to make waves/stir things up enough to make the news. Appear at a speech by the governor and become the news story. Organize a boycott / a refusal to buy rockfish and target retailers who sell them by picketing out in front. Make the news. Be a force that no political leader would want to deal with. Be the M.A.D.D. of the rockfish world. Here’s an idea, be A.N.G.R.Y. Anglers Notifying Government about Rockfish Young. I’m sure there is a better name than that but you get the idea – we need an identifiable slogan. Face it the Sierra Club and Chesapeake Bay Society are good but they don’t inspire fear or make the news like Greebpeace, PETA, or M.A.D.D. If you are pissed, with good reason, then make it known and things will happen. That would be a legacy to leave for the YOTY 2011. A group of po’d rockfish anglers that finally had enough and did something. That something being make life miserable for anyone who messes with our rockfish. Shawn, you know the politics and the science. You’re a fantastic writer and photographer. You could get things going in a big way. People will follow you and you could leave a legacy to preserve our rockfish as big as the Smokey Mountains. I am but one – but I am one. And I will come to any event you organize. I pledge $1000 to start things off. I’m old but I’m ready to DO something. I’d like to leave a legacy of great rockfishing in our Chesapeake Bay. Please think about it. Thank you for your comments, Joe. I especially appreciate that you are willing to stand behind your feelings financially. That’s our biggest liability right now, we just don’t have the $$ it takes to make a big enough political impact. There is currently a commercial fishing coalition in Annapolis that apparently scares DNR to death. We have no equivalent. I know there are some very wealthy people who frequently make political donations to the governor, but I don’t know of anyone who ties their donations to taking care of the fish. I also think DNR needs to see the angry faces of recreational fishermen. As of now, very few recs show up at meetings or participate in conservation organizations. CCA is a pretty small group in Maryland, but at least we’re scrappy and we carry a big stick. As for your suggestion for an independent group, the hard part is getting fishermen to stand together on the same track since our priorities vary. For example, at this point in time I can’t support a gamefish effort in Maryland because of what I see as a very poor conservation ethic among a percentage of recreational fishermen. I’m feeling progress, especially in the social condemnation of poor fishing practices, but we recs are still very divided. I have some ideas. I won’t talk strategy in an open forum, but I want to suggest a goal and give some people an opportunity to put their $$ where their mouth is, especially the heavy hitters who could drop a million bucks into a kick-starter campaign in the blink of an eye. We absolutely need a louder voice in Annapolis. This issue proves beyond a doubt that we are being roundly ignored. I fish and I vote! I hope you guys are also sending your comments to the governor. They don’t wan’t him to hear about this. Take my rain tax and pay the commercial guys and make it a sport fish. I caution against starting a new group. Back an organization that exists. Shawn knows about an effort we started a little over a year ago. The goal was Rockfish/Gamefish. There was ten in the startup group. When the leader asked for donations to pay for initial expense, I sent a check for $500.00 and promised more once things got moving. Our leader was the only other person to kick in any money. The methodology was different than anything tried before. We planned to hire a professional MD lobbyist who had demonstrated good legislative success. We found a great one, and he produced a dynamite proposal. The second prong was to hire a top notch MD public relations firm to take our cause to the public. We found a real tiger who was willing to do great things. The whole effort faded away in a about a year. Why? Surprisingly we could get little agreement or support from recreational fishermen. Everyone has his or her ideas of what the problems are and how to best address them. We are all creative geniuses, and if someone is trying to do something for the resource that does not fit our ideas perfectly, we bail. Our group never went public. People quickly get tired of meetings and it is not as easy to raise money as you may think. Yes there are wealthy rec fishermen who could go large on financing the effort, but separating them from their money is not all that easy. So once again, I say pick a group you like and work with them to get something done. It is not all that easy to start from scratch. Mr. Kimbro, I have already written letters to DNR and the governor expressing my concern on the issue. As you know I am only 17, so i have little if any financial power. This being said, is there anything else that I can do to combat these egregious attacks on conservation made by the those who are supposed to be spearheading it? Thank you, Ron. The best way you can help is to talk to your friends, classmates, etc. Let them know about this situation and ask them to get involved in the change process. I am certain that CCA will keep you advised and let you know when we need you. We recently had some high school age guys from Annapolis drive all the way to Prospect Bay to listen to a presentation on striped bass management. Was that you? You guys are the future of recreational fishing in Maryland and it’s great to have you onboard. Yes that was me and my friend craig. I am trying to become more and more active in conservation and greatly appreciate any advice or guidance from anyone who is willing to offer it. I agree with Wild Bill. CCA is already there, we need to expand it’s influence by increasing membership. It’s a solid organization, the Md. guys are doing a great job, but they can’t compete with whoever is pulling the strings. Everybody reading needs to join and promote CCA on Facebook, Twitter etc. We need a bigger group. I also agree with Joe F. Shawn you’ve done a great job as a spokesman for the Bay and it’s conservation, Your leadership is appreciated. I’m willing to help any way I can. Everyone, keep the ideas coming. I had a CCA membership once but I let it lapse. How can I join now. It’s about time someone held DNR accoubntable. I appreciate all the comments about CCA. There is some good information right now on their Facebook page and look for a lot more coming out next week. I am very much a worker-bee in the organization and I’m extremely proud of the leadership for standing up for the fish. CCA needs to raise more money and then make political donations like Omega Protien does. OP has an incredible amount of political clout for only donating about $100,000 a year to Virginia politicians. CCA needs to do the same thing. Like a PAC? Would people donate? I think they would if it was done properly. Think about the value of a world class striper fishery in the CBay. The funny thing is its a very attainable goal. 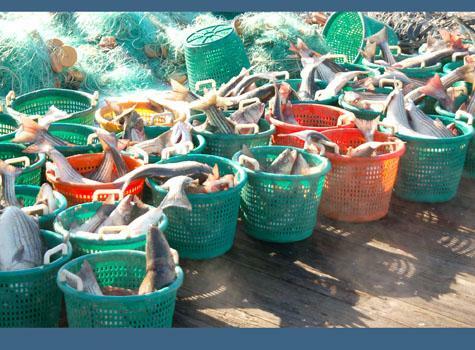 1) stop menhaden fishing in the CBay 2) outlaw gill net fishing– bycatch is the real issue. Yeah, Douglas, thanks for putting it into words. “World class striper fishery” -that’s a vision worth working for! When I think about it I hear line peeling off a reel. You do not have to be 100 years old to have directly experienced a world class striper fishery. From 1990 to about 2007 it was off the charts. If you picked the right area at the right time of year, striper fishing was usually great. When I hooked up my boat to fish for a day or for a week (unless the weather totally messed us up) it was a matter of how many and how big, not if. It is a crime the population was allowed to be decimated like it has. Now guys talk about maybe catching their limit (two damn fish). What a joke that is. Yes, stripers are worth fighting for. Recreational fishermen have to start pulling together instead of fighting each other. I will back any and all efforts to restore what we had not so long ago. An important start is to protect the 2011 crop, instead of plotting to kill the off. An 18″ fish is still a baby. We must all think about what stripers can become, if not killed in infancy. Shawn, you only need to look at Dnr’s handling of shad to realize how they work. They let the population shrink to 1per cent before they put a moratorium. Their handling of yellow perch, oysters, clams, big bluefis, etc the list could on and on show they only listen to commercial interests. The current crab situation needs to be addressed but we still see roadside sellers selling three dozen female crabs for 25 dollars instead of a no female policy. Maryland pays dead beats to sit at home and not work. We should take a bunch of their money and pay legitimate crabbers, commercial fisherman and charters not to crab/fish for at least a year based on their taxed earned income. This would allow the legitimate hard working waterman/captains to maintain their equipment and give the aqua creatures a chance to recover. Along those lines, we need to push the spring season back to May 15 and again compensate legitimate charter boats for lost revenues. The current Spring rockfish season and it’s regulations are llunacy. I periodically retread Tom Horton’s books to realize what used to be. I have been fishing the bay for 50 years and I have seen things and that I would not have believed and we are on the same path with rockfish. DNR spends millions on salaries and is more interested in bureaucratic processes that real life situations. unfortunately I have no faith that they will do the right thing since ultimately their decisions are made on politics and not the realities. The biggest threat to the Bay is the impervious runoff from government facilities and infra structure such as roads, faulty treatment plants but they are exempt from the rain tax. Like some said elsewhere, some of that bogus tax should be spent on Bay resources such as menhaden, crabs instead of going to Annapolis for salaries and pr. Thanks for the vent. Vent on, Captain. Vent on. It was not my intention to imply that all you were doing is complaining. I was referencing the recreational sector as a majority. I am 31 years old and can remember great fishing not that long ago. I am just looking for ways to make a real change and not just complain. I am a CCA member and plan to attend more hearings as they come up. Which MD legislatures should we be contacting to voice our concerns? Also is there a way to have local businesses write as well? 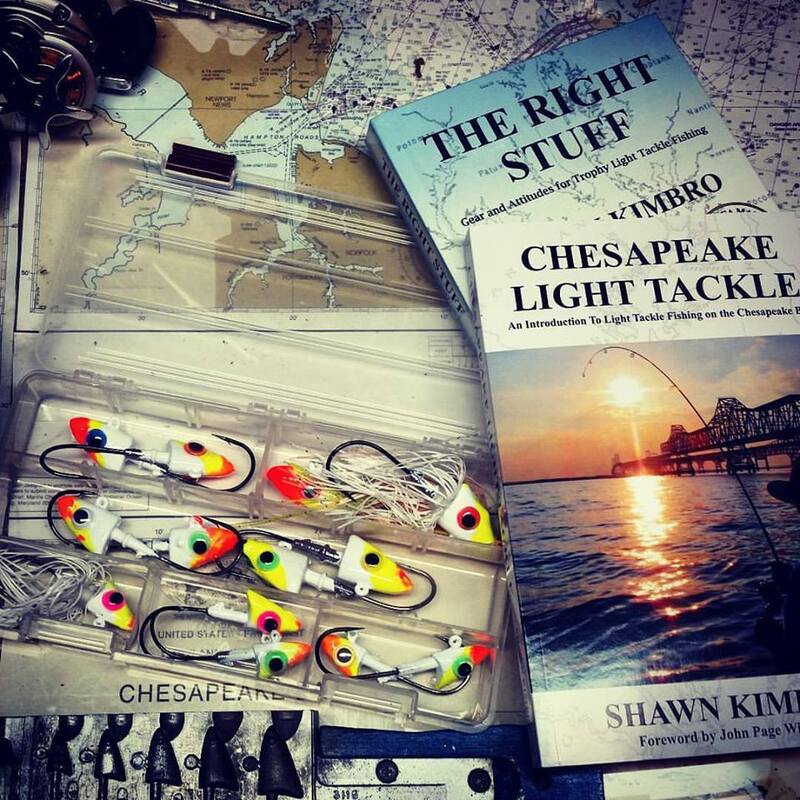 I know in Chesapeake beach where I grew up I have seen tackle shops, gas stations, restaurants, etc. all affected by fishing. ( although the gambling has changed priorities a bit) Thank you foe all you do to bring attention the issue and hopefully we can right the ship before history repeats. Their are 17 other states that do not require fishing license,Why is not Maryland one of them?It is my belief that they are using the emergency powers act to force man and woman of Maryland to pay for licenses,I say we all have a RIGHT to go fishing,lets all stand up and be heard.God left man to the fish not a hand full of men who say pay me if you want to catch my fish!A license is begging for permission people,STOP IT!